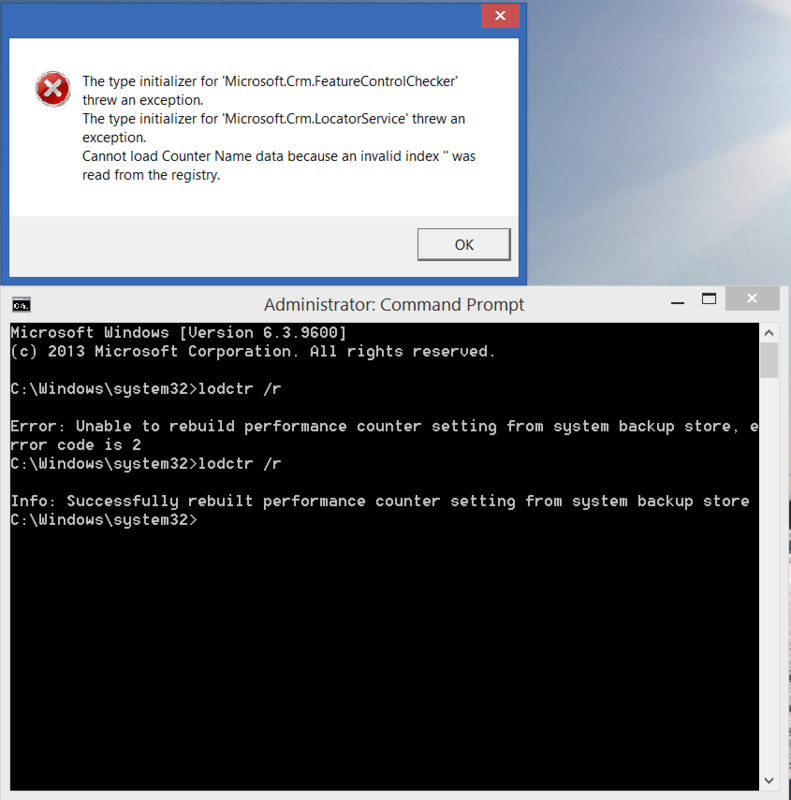 This error popped up when I was attempting to install Update Rollup 3 for Microsoft Dynamics CRM. I had manually downloaded KB3016464 and tried to manually install it, rather than watching it error out repeatedly in Windows Update. In case you are wondering LODCTR updates the performance counters which are stored in the registry and can be corrupted. As you might have guessed, LODCTR /R causes a Rebuild of those counters. For more details type LODCTR /? into a CMD prompt and press ENTER. Hey thank you so much Im done ! weeeeeeee! Thank you so much.. It worked for me. Thank you very much. Seems like this fixes all kind of issue. It fixed mine. After doing above steps everything is going well and my project come back to living. Thank you for the post. It is fixed my issue. The steps mentioned exactly worked as mentioned in the post and I was successfully able to resolve the error. Thanks a lot and God bless people like you!!! The first time the command was run barked an error, ran the command again, and it completed successfully. The program now installs without error. Again Thanks for posting this!